So lovely to meet you all and we are thrilled to read your review. We most definitely look forward to welcoming you again in the future. Many thanks Paula, Peter and Weasel. Thank you for your review and pleased to hear you describe our cottage as a "gem". Great to see you return to Church View and so very pleased that you had a fabulous New Year at Church View Cottage. You are all welcome to return any time. It was so lovely to meet you all and we are very pleased to here you enjoyed your first stay in our cottage and in fact in wonderful dog friendly Norfolk. We hope to welcome you back again in the future. Lovely, lovely place to stay. Attention to detail absolutely first class. The welcome basket second to none - included home made flapjacks for the humans and a treat for the dog! Thank you Sue for this fabulous review. 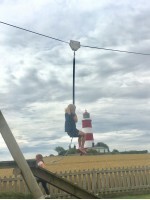 We are so pleased you had such a great holiday and enjoyed days out in our very friendly area of Norfolk. See you next year. It was so lovely to meet you and your lovely family Marie. So sorry that we had so much rain! We really enjoyed the coziness of the cottage. It was lovely to receive a welcome with cakes for us and treats for our dog. She really appreciated the fire on a very cold, wet day. It was easy to get around for my husband who has mobility problems. Paula and Peter were very welcoming and so friendly, it was a pleasure to stay there. Thank you for taking the time to review us and thank you too for your fabulous review. So pleased to read that you found Church View Cottage so cosy and comfortable. Yes the fire does help after a day out on the beach. Hope to see you again in the future. Paula, Peter and Weasel. This is our first visit to the cottage and won’t be our last. Church View Cottage is absolutely spotless and has all the comforts of home, even home made treats for humans and dogs on arrival- what a lovely way to start a relaxing holiday. Wow Di, thank you for such a fabulous review. It's been lovely meeting you all and hope to see you again. Church View Cottage has offered us a home from home experience in Norfolk, our favourite part of the country. We have stayed here twice so far and we are eagerly awaiting our third holiday here in September 2018. 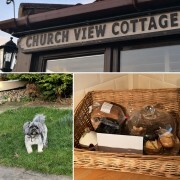 We have stayed in other 'dog friendly' cottages in the region but they just don't seem to offer those little extras that really make the difference and at which the owners of Church View cottage really excel. The accommodation is spotlessly clean and an array of goodies await your arrival so that you can start to chill out and unwind from the moment you arrive. How lovely to sit down and have a cup of tea and a slice of beautiful homemade cake after a long journey. Our pooches are never forgotten, there are handmade dog biscuits, dog blankets and bowls, and even a special dog tag for your dog to wear whilst on holiday should the unthinkable happen! 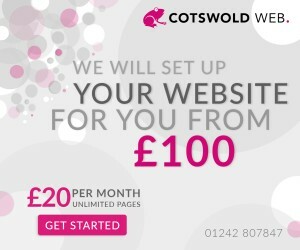 The owners also live onsite and are on hand should you need them. They are a lovely couple and so friendly and knowledgeable about the area and places to visit. At the same time they give you your space to enjoy a peaceful and relaxing holiday. As you can guess we love it here, and intend to return many more times over. Highly recommended. PS: You will adore their dog Weasel, a gorgeous labradoodle! What a great start to our day, reading your wonderful review. Thank you, thank you, thank you. Thank you for your wonderful review. Lovely to welcome you all back and we hope to see you very soon. Thank you Jane for your fabulous review. It was lovely to meet you and we look forward to you staying again in the future. Regards Paula, Peter and Weasel. This was a lovely place to take our dog for his first holiday. It was really dog friendly and the homemade welcome treats were a lovely touch. Olly (our dog) was very settled and comfortable here, as was I at 30 something weeks pregnant! A very relaxing place to stay. Lots of info provided on the local areas and attractions made our stay hassle free! Would definitely recommend staying here! 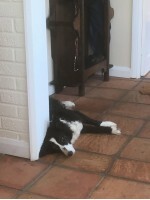 Thank you Jess, it was lovely having you stay for your first dog friendly holiday. We hope to welcome you back as a family. Thank you for your wonderful review. We are so pleased that you enjoyed your short break and that you found the cottage comfortable and well equipped. We look forward to seeing you again in the future. We have just enjoyed a lovely week at Church View Cottage. The cottage is very clean, comfortable and well equipped. The owners, Paula and Peter are friendly and welcoming & dog lovers themselves. Spare doggy beds & bowls are available for doggy visitors. There is a safe pet proofed garden for dogs to run around in. Loads of great walks locally - we particularly enjoyed visiting Bacton Woods and also a fabulous walk on the nearby Blickling Estate. The Weaver's Way is close by too. 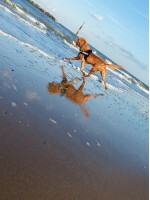 Great dog friendly beaches only a short drive away and loads and loads of dog friendly pubs and cafes. Our dog even joined us on a small boat on the Broads for a day. We and our jack russell Punk enjoyed a fabulous week & have already made a booking for next year. Highly recommend. Thank you Punk and your mum and dad for your fabulous review. You visited so many places and had some great walks. Thank you for looking after Church View Cottage and we will see you next year. We stayed there over new year period from 29th Dec 2017 to 5th Jan 2018. We were made to feel so welcomed by Paula, Peter and Weasel, as so friendly. Loved Paula’s rocky road cakes, nice welcome pack of bread, milk, cakes, box of chocolate, home made jam and treats for dogs. We have just spent our first week at Church View Cottage (Nov 17) and have booked to come again in March. The property is truly dog friendly, the garden is secure, dog bowls, throws, dog towels, poo bags etc are all provided, together with a welcome hamper for dogs and humans. 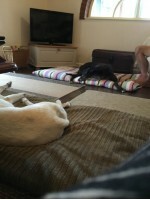 We brought our own bed linen with us as our dogs sleep on the bed at home. 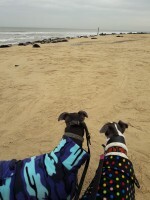 The local beaches are brilliant for dog walking, our personal favourite is Sea Palling, but we also visited Happisburgh (where the lighthouse is), Cart Gap, and Horsey Gap where we observed dozens of seals on the beach from the dunes above. Church View Cottage is very rural but several supermarkets deliver groceries, and Stalham and North Walsham are close by. 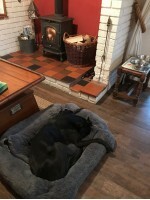 The property is centrally heated and also benefits from a wood burner (first basket of logs included), it is comfortably furnished, WIFI is included, and the kitchen has everything you need to cook, if you don't want to eat out. Paula and Peter are excellent hosts, and we felt at home straightaway. Thank you both for your glowing review. We are so pleased you had a great Winter holiday and that you enjoyed the log burner. See you in March. It was lovely to welcome you all back to Church View Cottage and to meet the gorgeous Finn. So pleased your second stay was just as good as the first. See you in 2018. Fantastic place to stay, owners cannot help you enough. 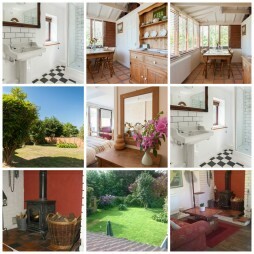 Its tidy, comfortable and well situated to travel to the many fabulous sights in North Norfolk. Its VERY DOG FRIENDLY, the owners left us a wonderful hamper, full of goodies for humans and dogs alike. Would definstely recommend this a place to stay. Thank you for your review Jenny. We are thrilled you enjoyed your holiday so much and that Church View gets the big thumbs up for dog friendliness. We look forward to seeing you again in the future. It was lovely to welcome you all and we are so pleased you found Church View so dog friendly. We look forward to seeing you again next summer. Another great week at Church View Cottage. Hamper of goodies provided for both Humans and dogs, fully enclosed secure garden. Very dog friendly run by a lovely couple and Weasel the dog. Thoroughly recommended. Lots of dog friendly local beaches and cafes. Thank you Sarah for your fabulous review. We look forward to seeing you all next year. Thank you for your review Deb and Dave. 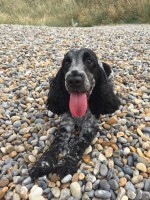 We are really pleased you found Church View Cottage so dog friendly. Hope to see you again in the future.